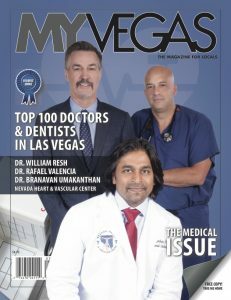 "The smart approach to skin disorders and anti aging"
Welcome to Academic Dermatology of Nevada, your choice for Las Vegas botox, dermatology and skin care. 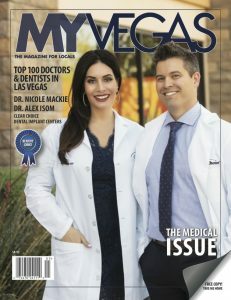 Academic Dermatology of Nevada is a full service Las Vegas dermatology practice offering a wide variety of cutting edge treatment options for skin diseases and cosmetic beautification. Dr. Curt Samlaska specializes in all forms of cutaneous diseases, ranging from routine acne vulgaris and warts to more complicated disorders like severe psoriasis vulgaris, blistering conditions, such as pemphigus vulgaris, and genetic disorders (such as Proteus syndrome), in all age groups (newborns to geriatrics). Board certified in Internal Medicine and Dermatology, Dr. Samlaska has written extensively, having published over 68 articles and textbook chapters. 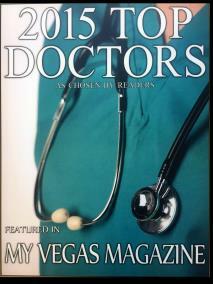 Our mission is to provide the most up-to-date medical care that meets your individual needs. From your first consult to every follow-up visits, we strive to build a lasting relationship based on integrity and mutual respect. We pride ourselves in not only taking care of you, but your family also. Our office setting is professional yet informal and children and family members are welcome. You deserve the finest quality of care, and it is our mission to provide you with the best. We have the lastest in cosmetic intervention, now offering Ulthera, visionary aesthetic ultrasound, the newest treatment for nonsurgical face lifts. Our cosmetic services include Botox, dermal fillers (Restylane and Juvederm), chemical peels, vein sclerosis, facial rejuvenation (FotoFacial, Thermage), tattoo removal, permanent makeup, eyebrow and lash tinting, waxing, and facials. Judi Hynds is our Aesthetics Director and has extensive experience in facial rejuvenation. Our caring staff, including Kristina Nussbaum, PA-C, Andrew Rackham, PA-C, Chief Medical Assistant Lina Talia, Aesthetics director Judi Hynds and Brenda Huff will provide you with the best possible care in a pleasant and informal environment.